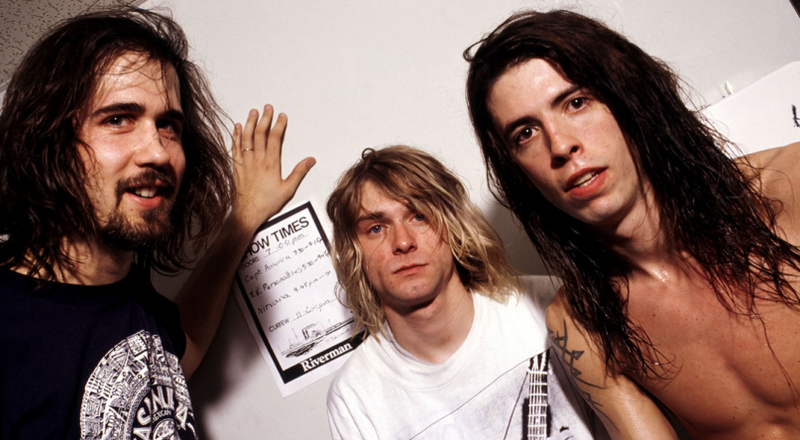 All-star Nirvana tribute reunion to be released! Dave Grohl was recently interviewed by Rolling Stone magazine and said unseen footage from the All-Star Nirvana reunion show around the 2014 Rock And Roll Hall Of Fame induction will one day be released! You may remember in 2014, Lord, St. Vincent, Joan Jett & Sonic Youth’s Kim Gordon played a show with the remaining members of Nirvana (bassist Krist Novoselic, drummer Grohl and guitarist Pat Smear) at a small club in Brooklyn as an after party for Nirvana’s induction into the Rock and Roll Hall of Fame. Check out some of the footage below. Quite the set list – would’ve been incredible to be at the show! Hopefully they were thinking and recorded a board feed and some quality video footage. They had to have done that, right?